Plein Air Painting is the new Golf! Landscape artist Chris Hutton will be showing his oil paintings at the IDEA Place in Rocky Ford on Friday, December 2nd, 5:30 -7:00 pm. Hutton’s landscape paintings evoke an emotional connection with the viewer. His painting style draws the viewer in with loose brush strokes, color harmony and sense of place. A feeling that you are with him on location, teasing your senses and getting in touch with the beautiful natural world around you. 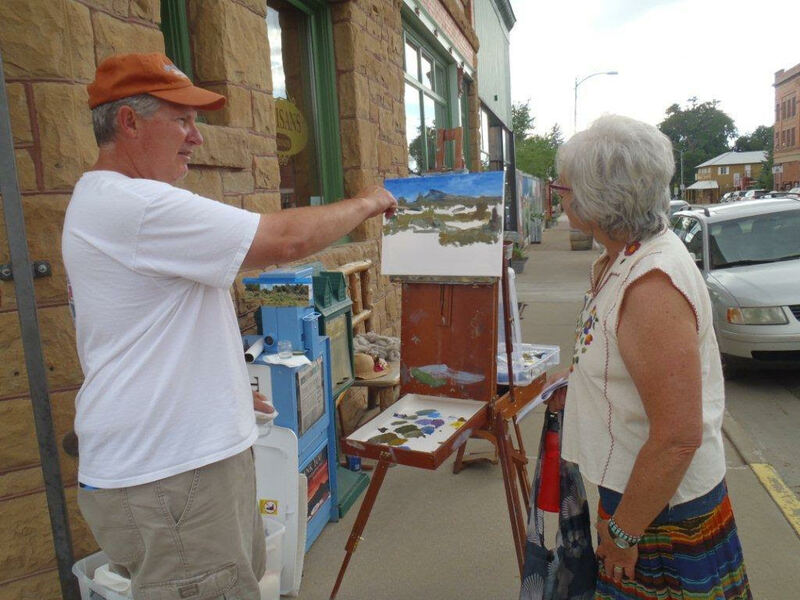 Hutton enjoys plein air painting and feels it embellishes his studio work. Although new to the Four Corners area, Hutton is not new to Colorado. He was raised in Rocky Ford, Colorado and graduated from Colorado State University. He enjoyed a successful 30 year career in the Food Industry working for three large International Companies, living stateside and abroad before deciding to embark on his art career and getting back to his roots. Hutton and his wife, Laurie relocated to Mancos last summer.